Fact or Fiction? 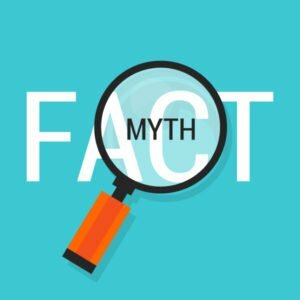 Hired Hands Homecare Busts Common Incontinence Myths. Myth: Urinary incontinence is unavoidable as we age. Truth: Although the aging process does boost the risk for incontinence, many senior individuals retain normal bladder control, so it should not be considered a standard or inevitable part of the aging process. Myth: Urinary incontinence cannot be remedied in older individuals. Truth: Thankfully, this is not the truth in the majority of circumstances. There are ways that incontinence can be treated effectively. Myth: Drinking as little water as possible will lower the risk of incontinence. Truth: Often older adults control their fluid intake in the misguided understanding that drinking less will reduce the intensity of their incontinence. However, limiting fluids brings about more concentrated urine which irritates the bladder and makes the concern even worse. Drinking sufficient fluids helps to maintain a normal bladder capacity and functionality. Myth: Urinary incontinence is seldom a problem for men. Truth: Men are less likely to talk about the subject with family members or doctors, and so are less likely to be diagnosed with urinary incontinence. However, based on NAFC estimates, around 20% to 25% of Americans with incontinence are men. If your senior loved one is troubled with incontinence, be sure he/she obtains a proper diagnosis from the doctor to make sure there aren’t any underlying problems. The Napa senior living professionals at Hired Hands Homecare can help your loved one cope with the effects of incontinence in a compassionate and discreet way. Contact us at (866) 940-4343 for more information about how our in-home care services throughout several counties in California can help.